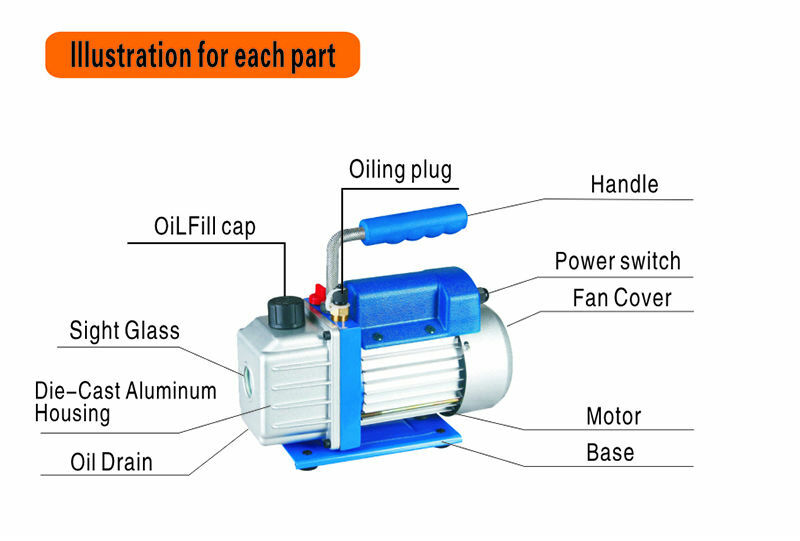 The single stage series of the singel-stroke oil-rotating vane vacuum pumps and the two stage series of the double-stroke oil-rotating vane vacuum pumps are the equipments for obtaining vacuum by pumping the gases from sealed containers,especially suitable for the pumping work for cold-producing maintenance (for the vacuum pumping with R12,R22,or R134a as cold-producing medium),medical appliances printing machinery,vacuum packing,gas-analysis and hot-forming plastics.And they can also be used as the fore-stoke pumps of all kinds of high-vacuum equipments. 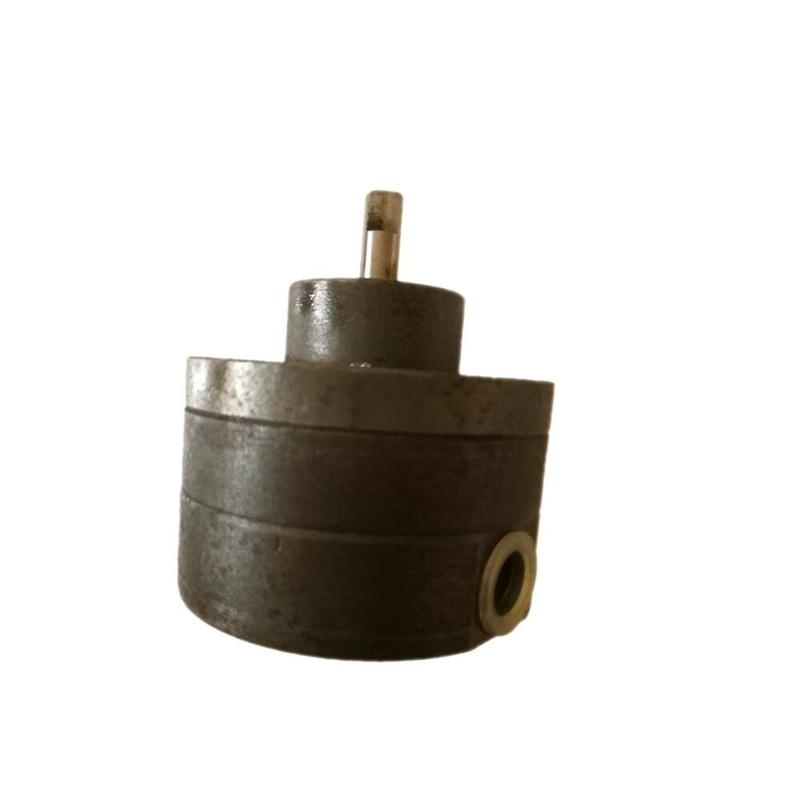 The passage for gas entering is specially designed,which can prevent the oil flowing back and so prevent the pumped container and tubes from being polluted. The tank is separated,and there are separating devices at the exhaust port,It can avoid oil-spraying and reduse pollution. Alloy aluminium casing is used in this kind of electrical mavhinery,it has high heat-scattering efficiency,which can keep the pump running normally,long-lasting.And it has better outer-figure quality. The electric machinery and the pump are wholly designed and direct drive,which makes the product more compact,lighter and more rational. 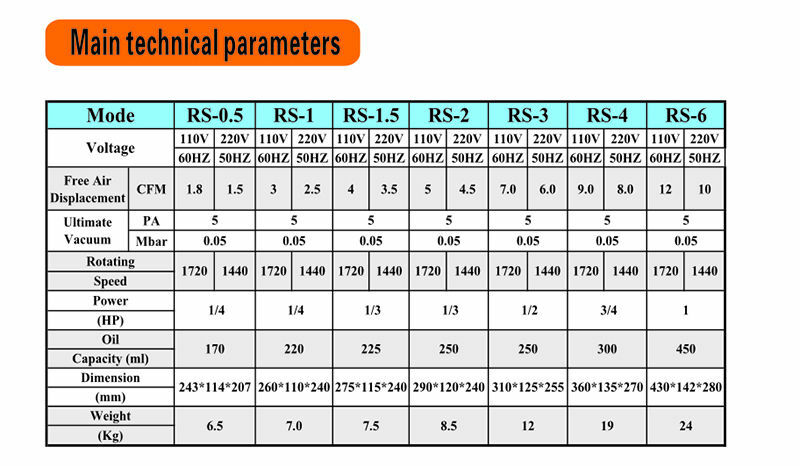 The design of great starting moment is easy for starting and high in efficiency,which can keep it running normally even in lower temperature environment and lower volt. The products incorporate the lubrication system designed to provide clean,filtered oil to all internal bearings and wear surface,regardless of the pump operating costs.